My name is Deborah and I am a plain dressing Quaker. I am currently stitching the Beatrix Potter Sampler. 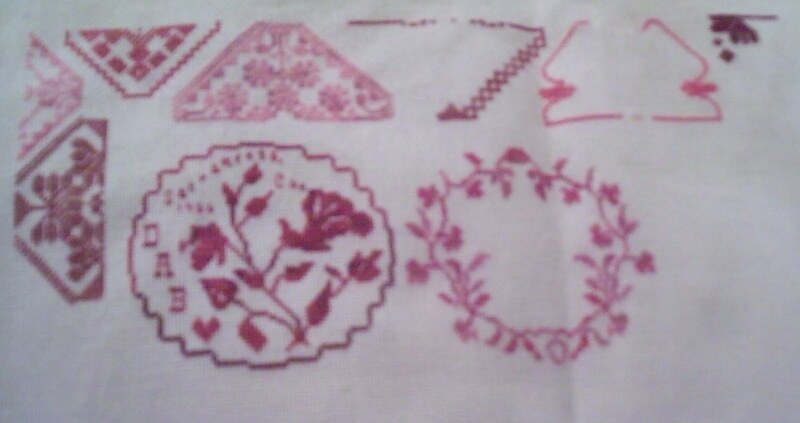 I love working on Quaker samplers because of the motifs. Each time I finish on I feel a wonderful sense of accomplishment. Let's have a little fun together! Does anyone have a crochet or knitted bonnet pattern or snood? I am working on a crochet version of the hairpin crochet bonnet in my photos, but it's trial and error. Okay, here is one The Perky Snood. If I remember correctly this is the one I had used in the past and it does work well. Hi, Its coming out great, cant wait to see it when its done. I am a crafter also. Come check our site out. 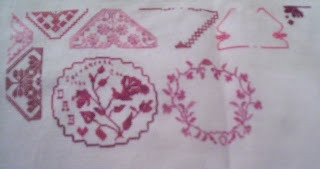 Thanks for the links to patterns Deborah. I will try making them.